The breakfast included in the price makes it very good value for money. 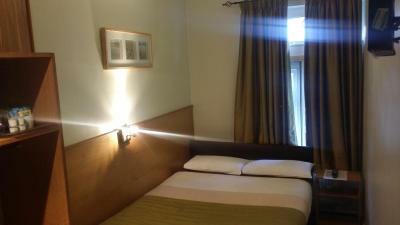 The TV is situated at a very convenient place on the wall where you can lie on your bed and watch. 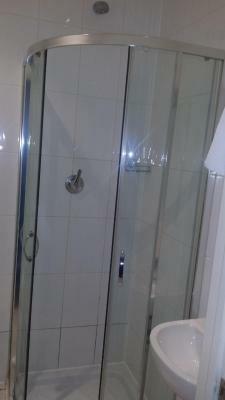 The location is a 6 min walk to the train station. 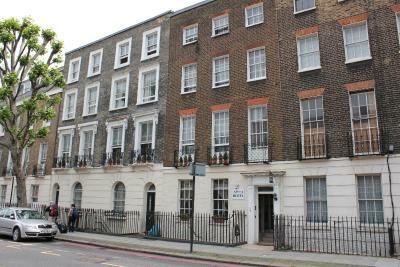 Location was great when we eventually found it, Very central to St Pancras Railway Station. Lots of great cafes in the immediate area. Surprisingly quiet for such a central location. Staff pleasant and helpful. 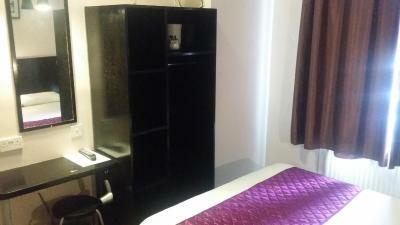 Location is central, wifi works perfectly, polite and welcoming staff, clean. It was warm and relatively easy and quick check in. Staff friendly but needs to be given more training about the local area. 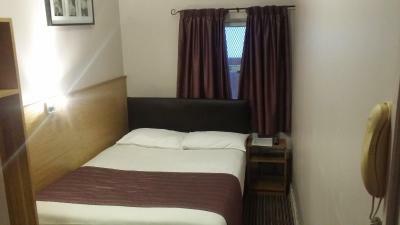 Rooms small but well provided with toiletries, tea coffee etc and whole place very clean. Excellent staff. 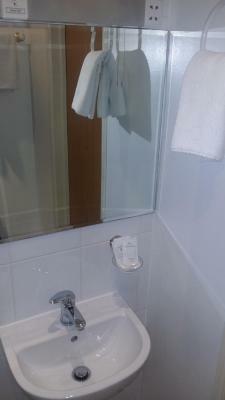 Would highly recommend for convenience, less than ten mins walk to kings Cross and St Pancras. Excellent value for money. Nothing. Seriously. Dirty, bed bugs and I have picture worse than bed bugs. I just stayed to board the train at St pancras. 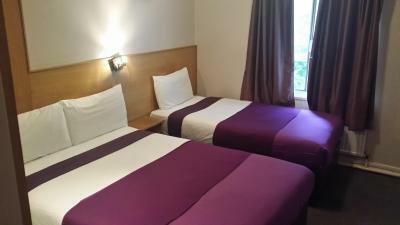 At this price, I should stay at another hotel and wake up early to catch the train. The picture attached is an insect i found on bed. Very good and practical location. Friendly staff and good WIFI. Definitive value for money and will use this again for my next trip to London. 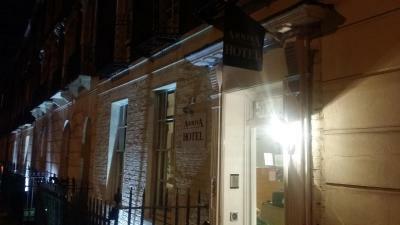 Arriva Hotel This rating is a reflection of how the property compares to the industry standard when it comes to price, facilities and services available. It's based on a self-evaluation by the property. Use this rating to help choose your stay! 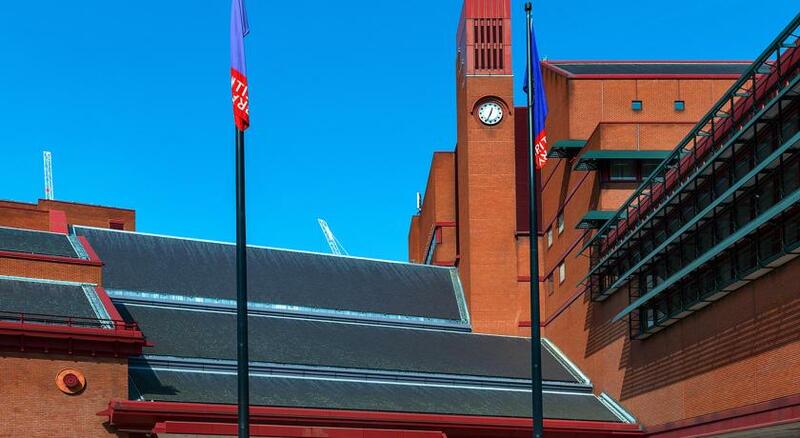 One of our top picks in London.Just 1,300 feet from King's Cross Railway Station, Arriva Hotel is a 20-minute walk from The British Museum. The hotel has a restaurant and a 24-hour front desk. 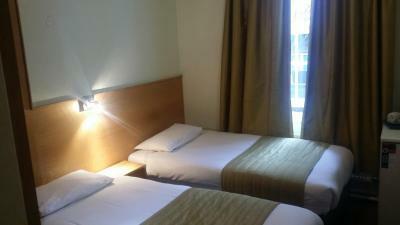 A flat-screen TV, tea and coffee facilities and a hairdryer are provided in each compact room. 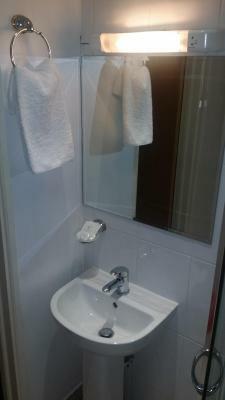 All rooms are simply decorated with modern furniture and have a private bathroom. A continental breakfast is served daily in the spacious dining room at Arriva, featuring fresh coffee and fruits. A range of international restaurants are within 350 feet away of the hotel. 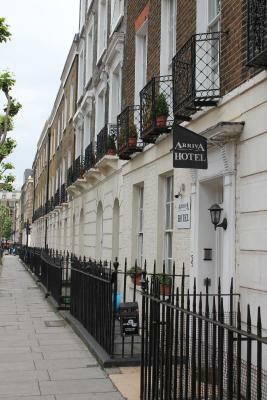 Located in vibrant Camden, The Arriva Hotel is a 5-minute walk from stylish Bloomsbury. 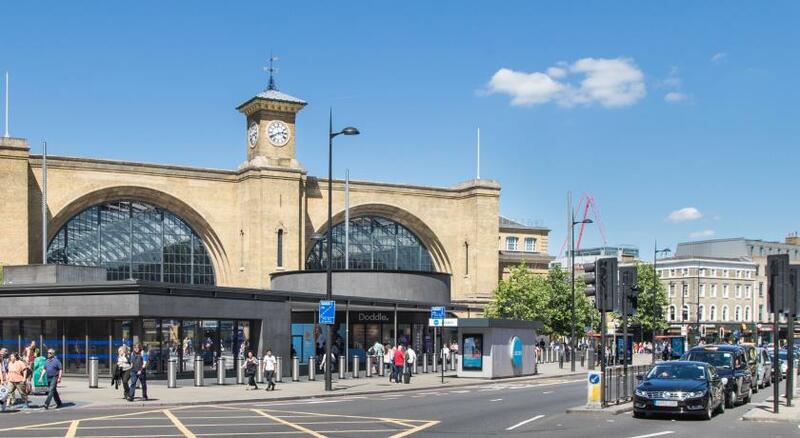 King’s Cross St Pancras Station is 1,300 feet away, offering links to Eurostar and the London Underground. 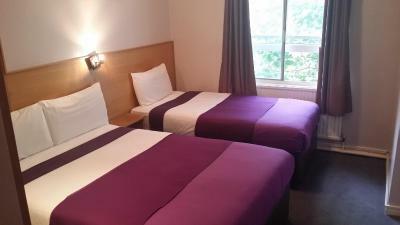 Euston and Angle stations are a 15 minute walk away. Regents Park is only a 10-minute walk. The public transportation can take you to Oxford Street, the West End, Leicester Square, Covent Garden, Piccadilly Circus and the London financial district in 10 minutes. 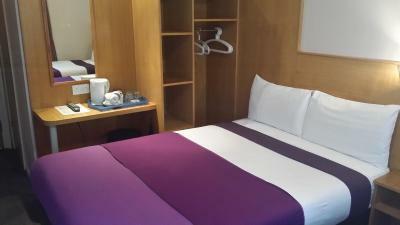 When would you like to stay at Arriva Hotel? 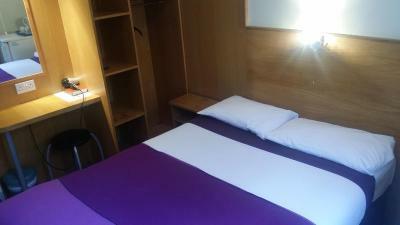 A flat-screen TV, tea and coffee facilities and a hairdryer are provided in each compact room. 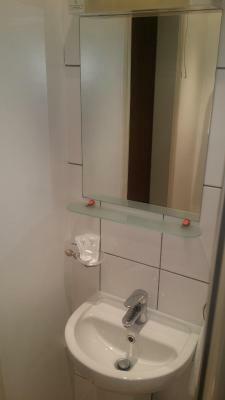 All rooms are simply decorated with modern wood furniture and feature a private bathroom. 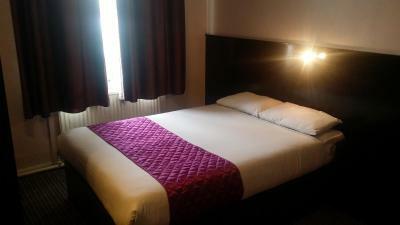 The Arriva hotel offers you a comfortable and convenient base from which to enjoy London. 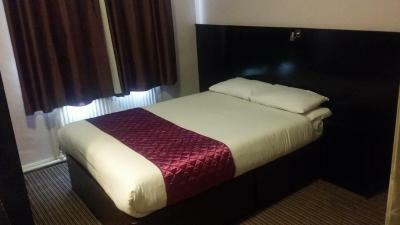 The hotel is situated in a modern and well connected district with ample transport links to all parts of the city. 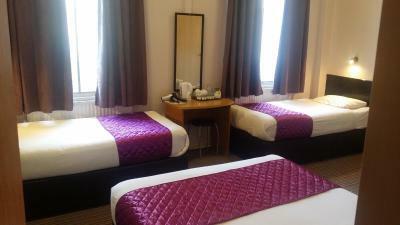 House Rules Arriva Hotel takes special requests – add in the next step! Arriva Hotel accepts these cards and reserves the right to temporarily hold an amount prior to arrival. Please note that for general bookings: Payment is taken upon arrival. For non-refundable bookings, payment is taken on the day of booking. 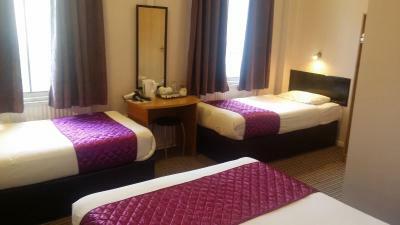 The size of the room was a single with double bed in it, no room to move round the bed had to climb over to get in other side. Location was as needed, room was clean. Ideal location for Kings Cross station. Great value for the area. 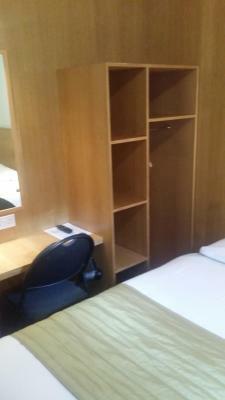 Room basic but comfortable, and in a very quiet road so no external disturbance. 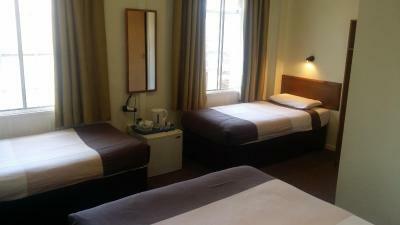 A very good value hotel in an excellent location. 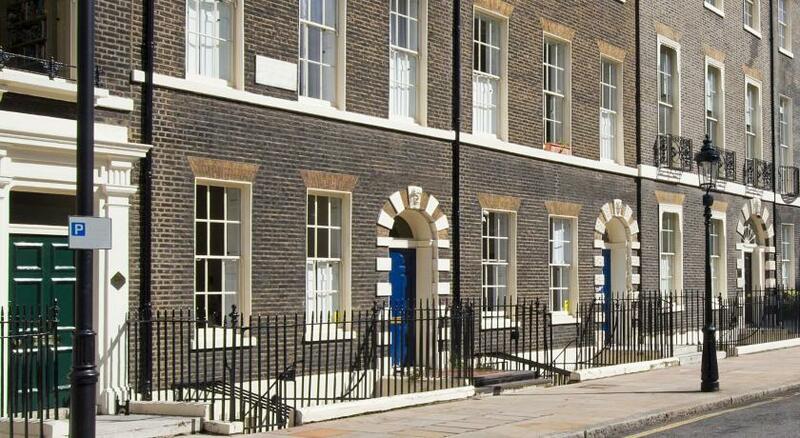 5 minutes walk from King's Cross makes it easy to get around all of London. 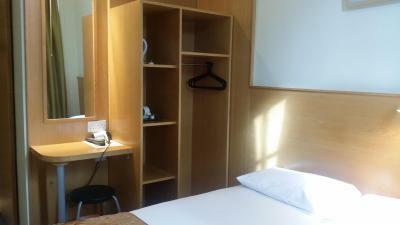 The room was quite small but had everything needed and was clean and tidy. 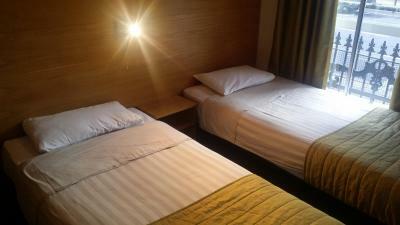 The staff were very friendly and we were provided with extra pillows when requested. If you're on a budget then you'll struggle to get better value than here. Size of breakfast room....a queue to find a place to sit down for breakfast...a battle to get to the fios. Cold coffee. 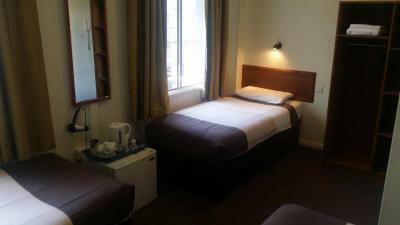 It was very reasonable It's convenient for Kings Cross and St Pancras within walking distance. Bed was comfortable. Sound proof is poor however cannot do much about it. Sink plug in room 10 needs attention. 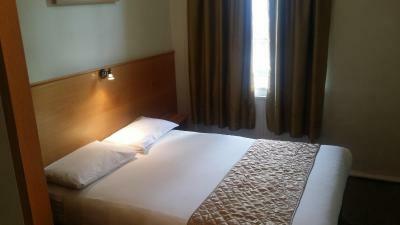 It was close to King’s Cross Station, quiet and comfortable with excellent breakfast. 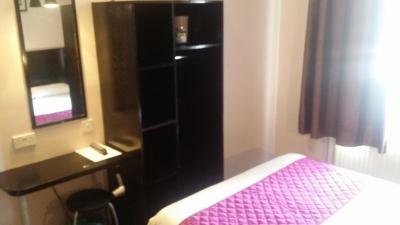 Good value in pricey London. Staff could have been more welcoming and engaging. It was basic, it was all I needed, I liked the breakfast, I liked the location. Breakfast was poor experience rather than the enjoyable experience ai was expecting. Had to come back 3 times just to to get a table/seat Room to small for number of guests. Breakfast choice very poor. Will not be back. Room was hot, even after turning the radiator off. We had the window open all night, and kept the room door open as well the rest of the time to get a through draught. The room was quite small. The area outside the window looked untidy, with dirty-looking lying water - we were on the bottom floor. Breakfast room was cramped and overcrowded, people having to queue around the toaster made it difficult to reach hot water for tea. Quite a basic breakfast: Cereal, yogurt, toast, tinned fruit, tea/coffee. You avoided going back for more because of the crowd! Staff at check-in very pleasant, and extremely rapid response when we requested more milk to be brought to the room for tea. Comfy bed. Mostly very clean, though the area around our room's radiator could do with some attention. Room 2 , downstairs , couldn't open/adjust window ; don't know how this hotel achieves a Fire Certificate . I arranged with Reception a taxi for the morning which never turned up . The kettle needed to be pulled to the edge of shelf in order for the lead to reach the plug .